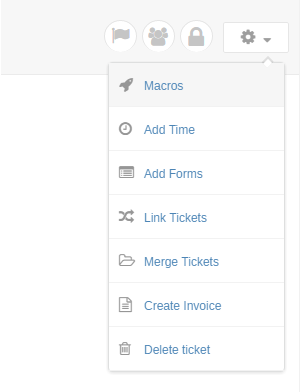 Macros automations let you execute a series of actions to a single ticket at once. They can help you to quickly handle recurring support requests or tickets. 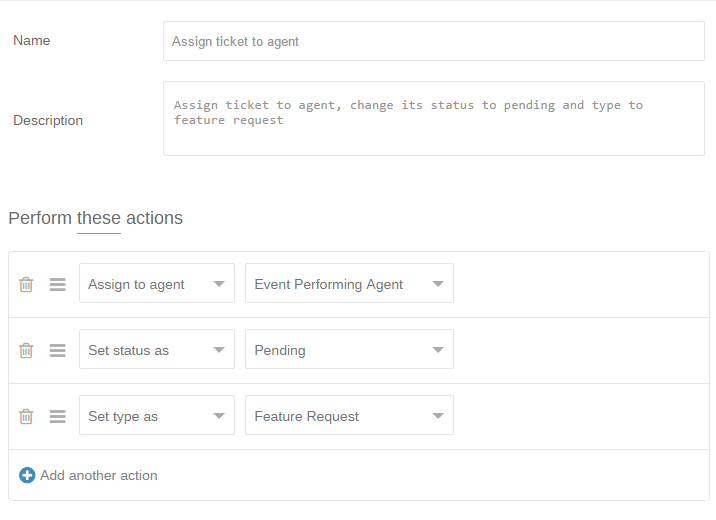 For example, you could create a macro to change a ticket priority to high, assign that ticket to a specific group or agent, send an email or SMS response to the customer or agent and many more. Macros also allow you to set up a series of automatic responses to otherwise tedious and time consuming tasks. Rather than spending time completing the same ticket request repeatedly, you can use the macros as a convenient way for you to automate task responses which would otherwise have your agents engaged. At the Top Right of the page, click on the drop down menu and select Add Macro. Enter a unique name and description for the new macro and then modify the actions as needed. Note: Each macro you have setup can execute up to a maximum of 8 unique actions at a time. Example; you cannot add multiple Set status as action in a single macro. 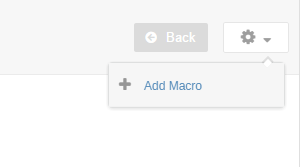 while you will be able to do it in the front interface, your helpdesk will not allow you to save the macro. Save the macro and thats all. Open the ticket that you would like to execute the macro on. At the Top Right of the page, click on the drop down menu and select Macros. Once the macros popup modal has opened, locate the macro that you would like to execute and click on the Execute button.